This post has been read 2382 times! 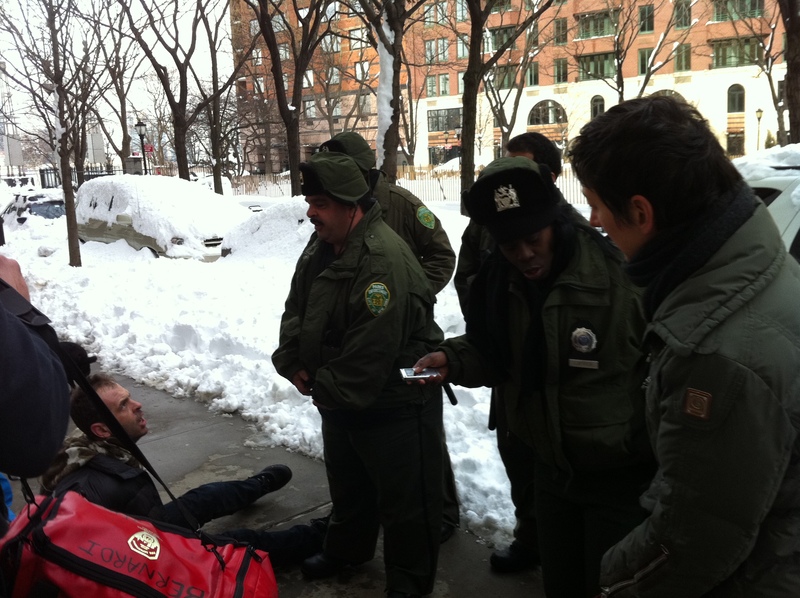 BatteryPark.TV first broke the story in January, 2011, of then resident Adam Pratt being assaulted by the park ranger “PEPs”. We received a Letter to the Editor several weeks ago about a similar incident but did not publish it because we could not confirm its accuracy. We eventually did contact the author who is a reputable entertainment executive at a large firm and holds a law degree. 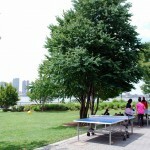 On July 3rd, he witnessed the following series of events on the Great Lawn and at 41 River Terrace. The Parks Enforcement officers in Battery Park City are abusing their authority in a highly disturbing manner. Something needs to be done about it. Generally, my frustration stems from constantly seeing groups of 3-5 of them hanging out instead of actually spreading out patrolling the park, however my writing to you today stems from a far less benign encounter I witnessed two nights ago as three Parks Enforcement officers assaulted a man walking his dogs. My girlfriend and I were walking our dog around the perimeter of the main lawn in Nelson Rockefeller park in Battery Park City when we noticed three Parks Enforcement officers hanging out chatting with one another. As we continued on our walk, we saw a young couple on the lawn with two small dogs who were running around on the grass. Though you would never know it because the signage in the area is barely existent, dogs are not permitted on the lawn. The three Parks Enforcement officers noticed the couple with the dogs on the lawn, whistled at them to get their attention and yelled that dogs are not allowed. The couple immediately scooped up the dogs, shouted an apology back and began on their way. This should have been the end of the interaction. Instead, the three Parks Enforcement officers picked up their pace and yelled for the couple to stop. When the couple stopped, the Parks Enforcement officers’ attention immediately focused on the male dog owner and they demanded to see his identification. The man explained that he was just out walking the dog and didn’t have any ID on him, but that he lived “right over there” (41 River Terrace) and that he was sorry and it wouldn’t happen again. At this point the three officers proceeded to surround the man with his back against a wall as if not carrying an ID in and of itself was somehow suspicious. He asked why they needed his ID and they told him they were writing him a summons. For whatever reason, they paid no attention whatsoever to his female companion but continued to deal with the man in an antagonizing, confrontational, and physically threatening manner. They informed him that he was going to need to provide ID and he again explained that he didn’t have any on him. As they continued to harp on his lack of ID, the man was becoming understandably upset with the situation. The manner in which Parks officers approached him was physically provoking and escalated the situation instead of neutralizing any tension. At this point, after his explanation of his lack of ID left the interaction at a standstill, the man attempted to terminate the encounter with the Parks Enforcement officers and essentially said, “I don’t know what else to tell you, but I’m going home at this point, this is getting ridiculous.” As he began to walk, the officers physically blocked his way. He sidestepped and they blocked his way again. The officers faces basically lit up at the opportunity to exercise a little physical might and tested the furthest bounds of their authority. The man then proceed to push through them and began walking home. The officers then walked after him and proceeded to grab and attempted to physically restrain him, repeatedly assaulting him in the process. One officer attempted a sort of “take down” maneuver while the other two attempted to restrain the man’s arms, and independently attempted to tackle him. At this point, I dialed 911, asking for immediate NYPD assistance for an assault of a civilian by the three out of control Parks Enforcement officers. There was no question in my mind that if anyone required police assistance, it was the civilian and not the parks officers here. As an officer of the court, I felt a heightened duty to intervene, however before I could, the man, clearly fearful of the the out of control situation, was able to get the Parks Enforcement officers off of him and ran straight for his apartment building. Two of the three Parks Officers proceeded to chase him into his residence. At this point, more than a dozen Parks Enforcement personnel responded to the man’s apartment building, followed by the NYPD cruiser I requested. Shortly thereafter the man emerged from his building with his ID and was immediately handcuffed by the Parks Enforcement officers and placed in the back of the police car. I witnessed the Parks Enforcement officer explain to his supervisors and the NYPD officers that out of no where the man started cursing and hitting him. This was not even remotely the case. I approached the police officer and explained that I saw the entire encounter unfold and that the PEP officers were not only misrepresenting the encounter entirely, they were the initial aggressors and the source of the escalation. The Parks Enforcement officers in Battery Park City continuously abuse their position of authority with what seems like little-to-no oversight. Until now I had only read about it in articles and heard about it anecdotally over the years, however now that I have witnessed it first-hand I am highly concerned about this repeated pattern of behavior. There’s nothing stopping it from being me the next time. No Parks Enforcement officer should ever have to physically lay their hands on anyone to effectuate the issuance of a summons for a dog being on a lawn. If they feel that such an issue requires a physical altercation, then perhaps they are due for retraining or reassignment. This entry was posted in - NYPD First Precinct, Battery Park City and BPCA, Crime, Gripes, Parks, Pets. Bookmark the permalink. I’m glad they are enforcing the no dogs allowed ordinance. I see far too many dogs in the these areas as it is. I agree the need to enforce more respectfully. Agree with you and you make the two points needed A) there does need to be enforcement B) but the PEP are poorly trained and have little common sense it seems. They will gang up and arrest a harmless man but do nothing about dangerous criminals and dangerous underage skateboarders who assault PEP by hitting them over the head, or the new gangs who hang out by Irish Memorial at night. The Esplanade is the “West Side Hwy west” with bikers and skate boarders endangering all with their speed and lack of restraint, and South Cove is the local hangout for the later: and nothing seemingly is done by the PEP; however, if they see a ten pound pooping danger and its owner they spring into action. We know BPCA couldn’t care less for the citizens affected, but is there any reason CB#1 does not get involved – especially since we have BPC residents on the Board? If anyone is in a confrontation with PEP best thing to do is call 911 and let the police sort it out – and then get a lawyer and sue. This is the second time in as many years that the PEP officers have committed gang assault on a BPC resident. Gang assault may seem natural to the thugs hired to serve on the PEP, but it is totally unacceptable to me. These people are hired to protect us, not to assault us. We are indirectly their employers. 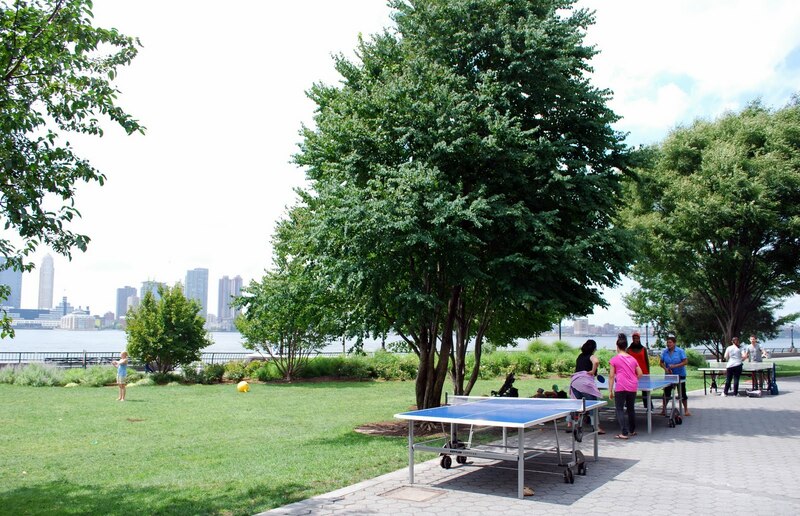 We pay ground rent to BPCA, which then pays the Hudson River Park Authority to provide the PEP. Something must be done to stop this thuggish behavior. Anyone want to take the lead in organizing a protest at their offices? If this situation happened as described, this is unacceptable. However, I see people from the neighborhood walk their dogs on lawns that are marked. If you live in the neighborhood, you these lawns are off limits. Recently I have informed two different dog owners that Rockerfeller is a dog free lawn. Both of them shrugged, let their dogs urinate freely on the lawn and then walked away. They knew the rules but somehow felt they didn’t have to abide by them. Most dog owners are respectful, but it only takes a handful to make our small public spaces unpleasant and unhealthy.